One of the major commitments with the expansion of Waldron & Schneider over the last few years has been to provide personal service to the medical community and health care industry. 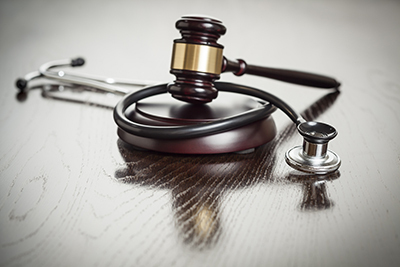 The firm represents individual physicians as well as large medical and health care practices in cases from simple incorporation matters and medical employment agreements to complex medical claims including Stark and anti-kickback regulatory compliance. The firm has assisted persons in the medical community in establishing Independent Practice Associations, Physician Practice Management Companies, and Ambulatory Surgery Centers. Our extensive experience in this highly complex area of law, coupled with the firm’s abilities in business and commercial law enables it to serve the regulatory and business needs of the health care industry. Our contacts include appraisers and brokers experienced in the acquisition and liquidation of medical practices, and the firm strives to provide the same personal touch to physicians and medical professionals that the medical community strives to provide to its patients. Waldron & Schneider has several business and corporate law attorneys that are available to work with you on your various medical and health care law or your medical practice needs. Please contact Marc Schneider, Kimberly Bartley, and Randy Ashby. Be sure to check out our FAQ’s section where this are some medical and health practice law area questions. As always, you may complete our contact form so we can reach out to you, come and see us at our Houston, Texas office on Middlebrook Drive or call the office at (281) 488-4438. We look forward to hearing from you to further assist you and your medical practice with any questions or concerns you may have.